QUESTION: Is this product BPA free? ANSWER: Absolutely yes! There’s no unhealthy material or flimsy plastic part in our coffee maker. Why? It’s because a coffee maker is something you use every day, so it MUST be safe. QUESTION: What is the recommended cleaning method for this press? Can it go in the dishwasher? ANSWER: We recommend you to clean by hand, because it’s very easy to do so! You could put it in the dishwasher, but it might damage the surface design. QUESTION: Does your coffee press come with instructions? ANSWER: Yes, it does! Inside the box is an instruction including a simple step-by-step guide that will help you get started easily in minutes! QUESTION: What do other people say about the FikaPress French Press Coffee Maker? 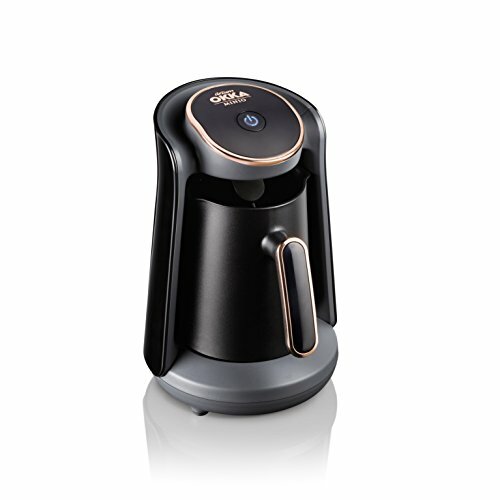 ANSWER: Newspapers & media LOVE our coffee maker! Our product has been seen on NBC, ABC, CBS and hundreds of other media sources. QUESTION: Does it come with a warranty or any kind of guarantee in case I don’t like it? ANSWER: Absolutely yes! You risk absolutely nothing. You get life-time warranty for FREE ($50 Value), and it includes 100% satisfaction guarantee. 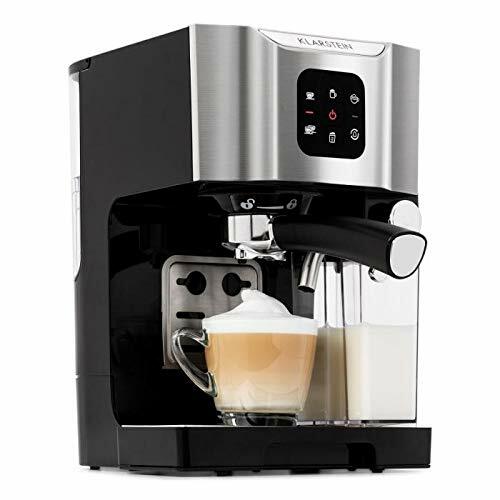 Your search for “the ONE” perfect coffee maker is finally over! It makes an amazing gift for yourself or someone you love. 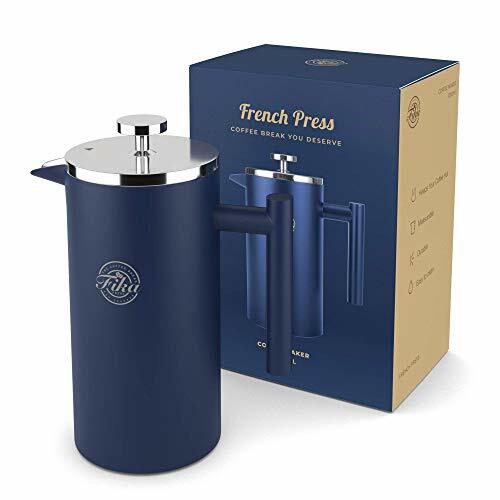 ROBUST COFFEE PRESS – Your FikaPress French Press Coffee Maker is made to last, with sleek modern design, premium stainless steel (304 Grade) for durability and improved functionality. 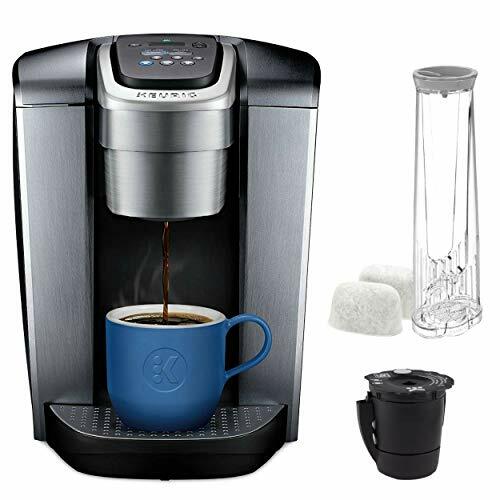 Unlike the glass presses that break easily, your coffee maker has an impressive sturdy body for you to craft your best cup of coffee every day! DOUBLE INSULATED WALLS – The double layered wall structure provides better insulation to keep your coffee warm for a longer period of time. Even if you go back to bed for a while, your coffee will still be at the perfect temperature. 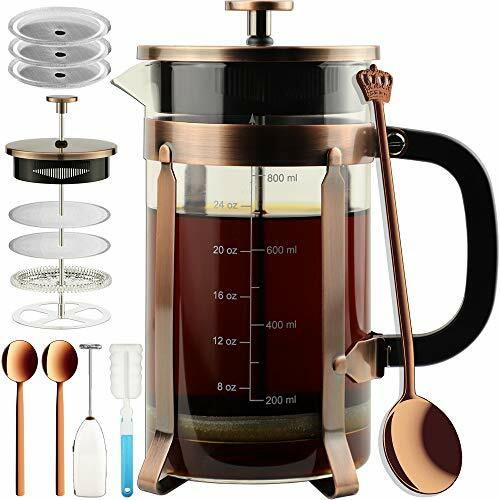 NATURAL TASTE – The CEO of Starbucks, the great and powerful Oz, himself, confessed in 2012, “The best cup of coffee could be made at home by a simple French press.” This large coffee press passes the rich flavor and oils of the brew straight to your cup, leaving behind the grounds but none of the delight! You’ll enjoy bolder, savory flavor in every delicious sip. CONSISTENCY – The key to a perfect cup of French press coffee is the ratio between coffee grounds and water. The FikaPress coffee maker is designed with measurement marks inside the pot, which you’ll enjoy a consistently delicious cup every single morning. 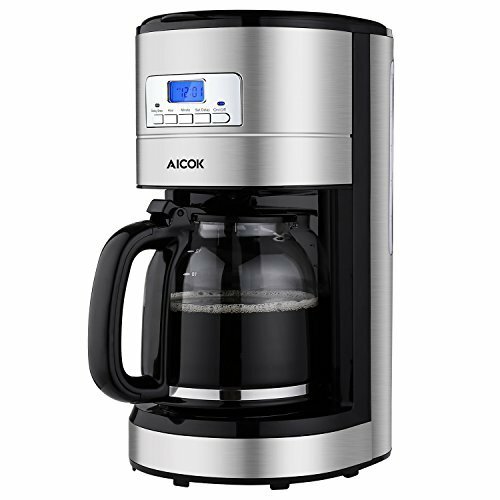 FREE LIFETIME WARRANTY ($50 VALUE) – Just imagine…this is the last coffee maker you’ll ever buy! We stand behind our press with the promise that if anything goes wrong with your new French press coffee maker, we’ll send you a free replacement or your money right back. Try it now, decide later. Grab yours today with complete peace of mind!